1991-01-01 No titles, all white Parked TOE Plane moved prior to Gulf War for safe keeping. 1992-11-14 YI-ALM All white, no titles Seen TOE Stored in Tozeur, Tunisia. 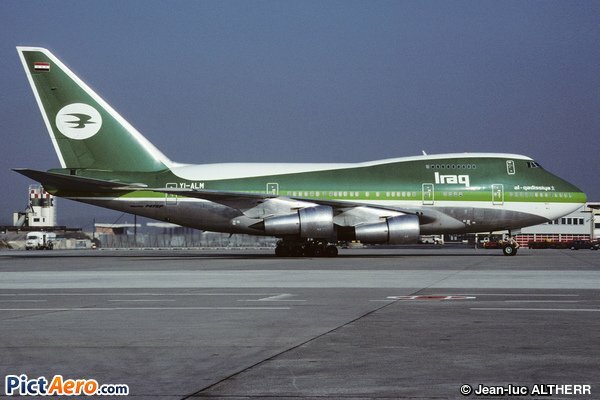 2000-11-24 Status TOE Reported as having 1970 hours, 688 cycles at the time it was parked in Tozeur. 2004-05-01 YI-ALM All white Seen TOE Seen still in Tozeur. 2004-09-01 YI-ALM All white Seen TOE Plane is still maintained by Iraqi mechanics every six months, according to a local source in Tozeur. The aircraft seems clean, the tires are inflated which is quite rare for a plane which is standing in the desert for more than 10 years. 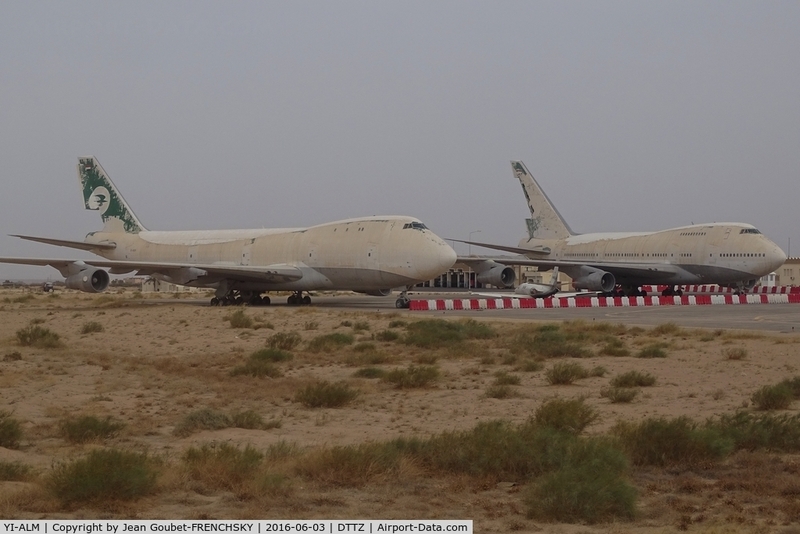 The airport at Tozeur doesn''t ask any parking fee for this plane. 2008-11-10 YI-ALM No Titles Seen TOE Al Qadissiya is now parked adjacent to the main terminal building - TOE. Far aft cabin door open, TUNISAIR stairs had several maintenance personnel moving in and out of the aircraft. No other significant changes to the aircraft.